Are you looking to escape your daily habitual life? Would you like to take some time to relax, rejuvenate & re energise? Learn about mindfulness, self-healing and empowerment? Learn about the deeply therapeutic benefits of Yin Yoga (deep stretch) and mindfulness practices? During this retreat we will learn that taking time out, slowing down and allowing yourself to delve deep within your own body, mind and soul is exactly what we need to balance our Yang (sometimes fast-paced and stressful lives) and find more peace, harmony and happiness. Yin Yoga is a slower, deep healing style of Yoga than the dynamic active practice that we see in modernised Yoga today. It is very therapeutic for the body and mind and available for anyone to practice. Mindfulness is the practice of being present in life through everyday life experiences, interactions and relationships with ourselves, others and the world. We are often living in a flight or flight mode (parasympathetic nervous system) and are easily susceptible to stress, anxiety and dis-ease in the body. Practicing mindfulness and meditation brings us back to the present moment and teaches us to live in the now so we can enjoy each moment with ease and grace. Learn how practicing Yin on and off the mat can help you in everyday life. Learn mindfulness techniques and feel at peace with your inner and outer worlds. Develop self-love and compassion with daily Yoga and mindfulness classes. Get your body moving and learn the importance of daily exercise and movement therapy. Delve deep into the 25 Yin poses during Yin Yoga & Mindfulness workshops. Learn the art of daily application and personal growth with balancing your Yin & Yang energies. 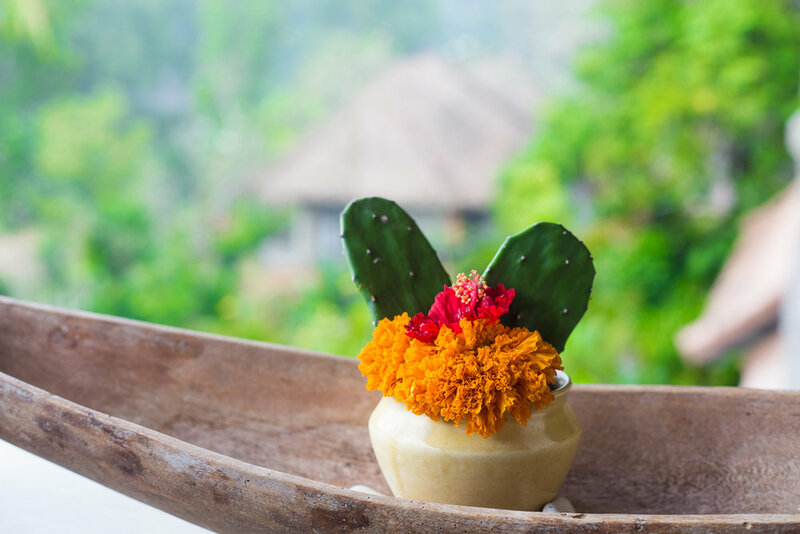 You will also have plenty of free time to relax by the magnificent pool and gardens, get pampered in the spa overlooking the tropical setting of flora and fauna, eat the most delicious foods on the planet and experience the wonderful Balinese culture. This retreat is for anyone who wants to get out of their comfort zone. For anyone wanting to experience and explore alternative ways of thinking and being and connect to their higher self. You have arrived here for a reason and that reason may be that you have a calling to learn natural self-healing and empowement techniques to enable you to build your inner strength, become resilient and connect with your body, mind & spirit on a deeper level. 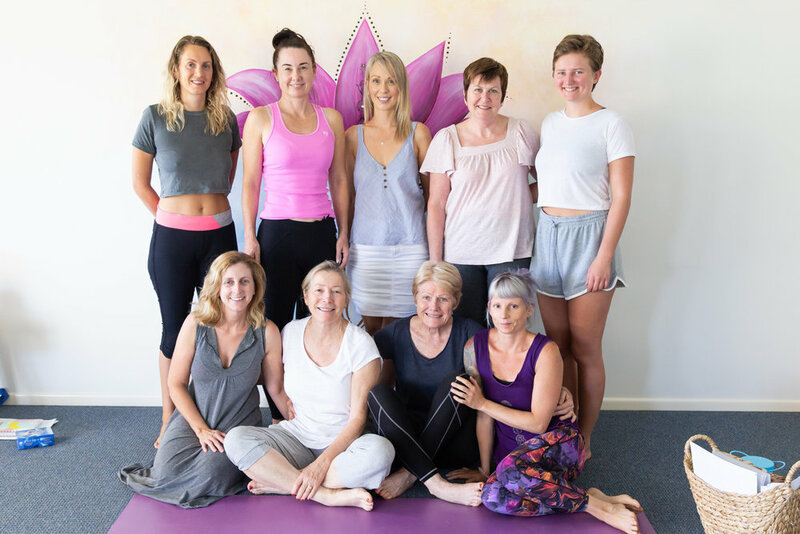 You do not need to be an experienced Yogi by any means, in fact classes are designed for beginners + all levels, there will be daily meditation, morning Hatha Yoga and afternoon Yin Yoga so you are welcome to join as many as you like or as little as you like! You will learn that asana (physical poses) is a very small part of Yoga and the real essence is about how you can take the philosophy of Yoga off the mat to improve your quality of life on all levels. 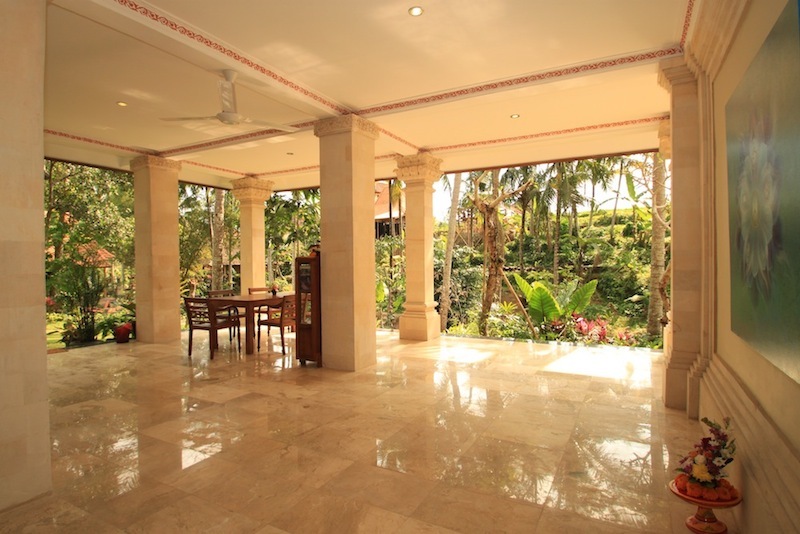 The retreat centre is a hidden oasis in the centre of Ubud, close to all the excitement but very peaceful and quiet. There are tropical gardens, pools, shalas, a meditation cave, a river, tea house, spa and much more at the retreat centre. The deluxe accomodation is very comfortable, offering air conditioning and fans in each room, safety deposit boxes, wifi and private bathrooms. 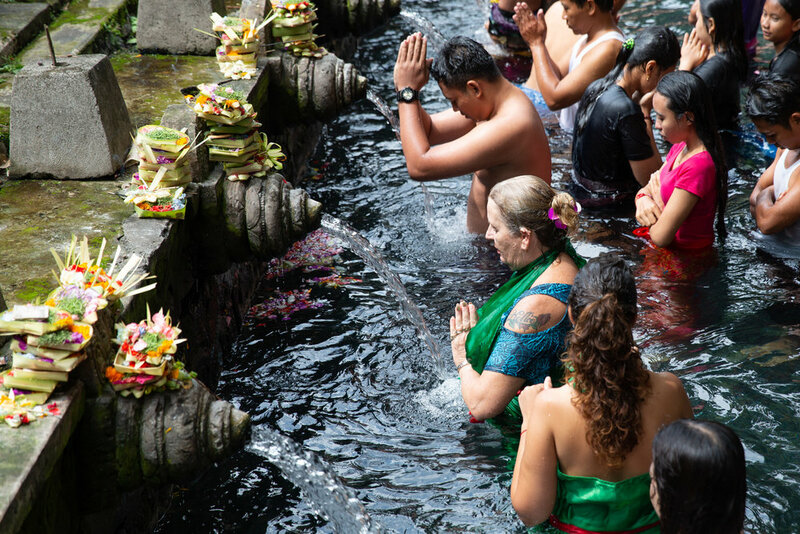 Ubud is known as the centre for traditional crafts, dance and spirituality and is surrounded by the beautiful jungle, nature and terraced rice paddies. The town is dotted with Hindu temples and shrines and Bali’s most famous landscapes and ancient holy sites are near by. Enjoy unlimited daily Hatha yoga classes and YIN YOGA take as many as you like or as little as you like! Get bonus professional photos of Bali adventure valued at over $695 for free!! *Flights and personal expenses are not included. Bree Naomee a health and wellness educator, retreat facilitator, experienced and certified yoga & mindfulness teacher and certified Pilates & fitness instructor. Her dharma (purpose) is helping you live to your highest potential through the understanding and application of 7 elements. This includes understanding and letting go of limiting belief systems, emotional intelligence and management, nutrition, yoga, exercise & fitness, realigning yourself with core values, the art of meditation and empowerment. Bree believes that in order to be the best version of ourselves we need to work on all of these elements as a whole. Her passion for the wellness industry shines through her teachings and she is well known for her supportive approach and love for helping others develop love and compassion towards self, others and the world around us. Bree Naomee runs retreats around the world sharing her story and helping many by inviting people to join her on this journey of self healing, empowerment and overall life abundance through these 7 elements. "I have just spent the last 6 days at the Bali Retreat with Bree Naomee. What I gained and received from this was amazing. Not only do I feel physically so much better, but emotionally so much more relaxed and a feeling of self love. Bree's way of teaching is very powerful, allowing me to touch places in my heart & soul on a deep level. Her gentle words and demeanour were very accepting of everything around us." Fantastic experience! Very inspiring, motivational and life changing. I feel like I am walking out a new person. Loved the workshops and energy healing. The magnesium pool and sauna were great and become almost an addiction, so invigorating! I loved the location and setting. The bed was SO comfortable. Learning about limiting beliefs and emotional intelligence was the most beneficial for me and it will change my life. I would definitely recommend the 7 Elements Retreat. If you have any questions at all please use the contact form or call 0420 765 617 and we are more than happy to help.